I’ve never met a Prosecco I didn’t like. I’m a bubbly girl through and through and if I can find a way to incorporate my bubbly into any other form of enjoying it, you can bet I’m going to try! And that’s exactly where today’s post comes into play. 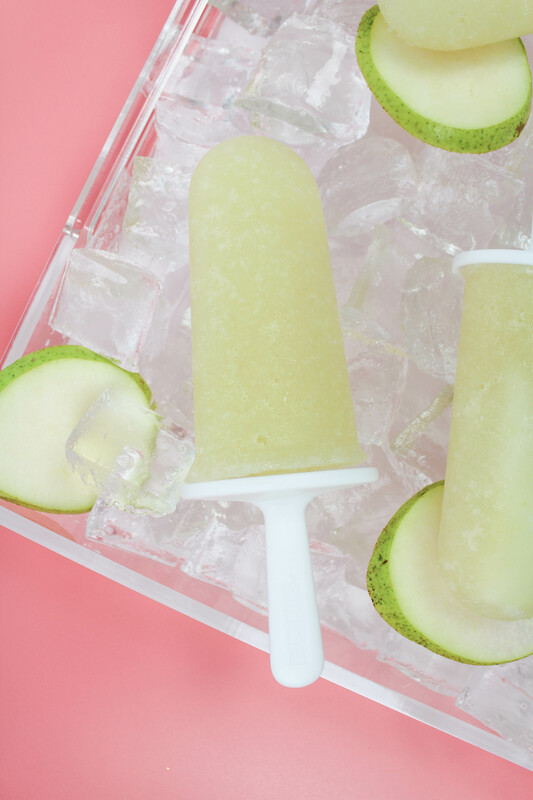 I’m sharing a recipe for pear and Prosecco popsicles that are a breeze to make, oh, so delicious, and a fun way to impress your guests for any gatherings you’ve got coming up too! Oscar party anyone? Now, if you’re wondering what the difference is between champagne and prosecco, you’re not alone. Champagne is a sparkling wine traditionally made in the Champagne region of France. It’s made with Chardonnay, Pinot Noir and Pinot Meunier grapes. Some of the primary flavor profiles of champagne can include citrus fruits, white peach, white cherry, almond, and even toast! Prosecco is a sparkling wine traditionally made in the Veneto region of Italy. It’s made using Prosecco (or Glera) grapes. Some of the primary flavor profiles in Prosecco can include green apple, honeydew melon, pear, honeysuckle, and even fresh cream! 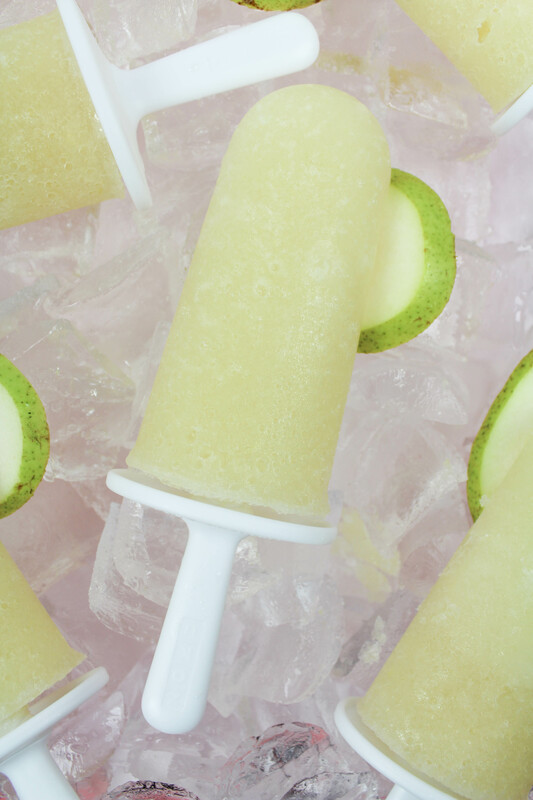 Add the pears, Prosecco, and simple syrup into a blender. 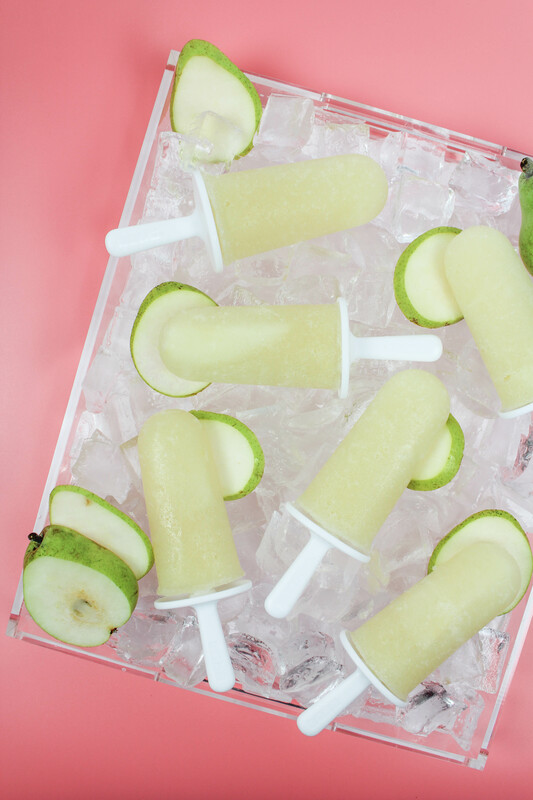 Blend until smooth and no chunks of pear are left. 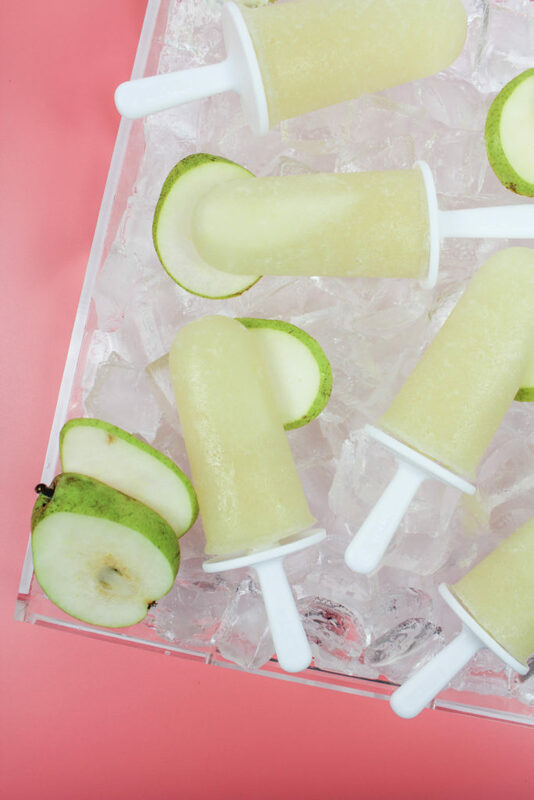 Pour into your popsicle molds. 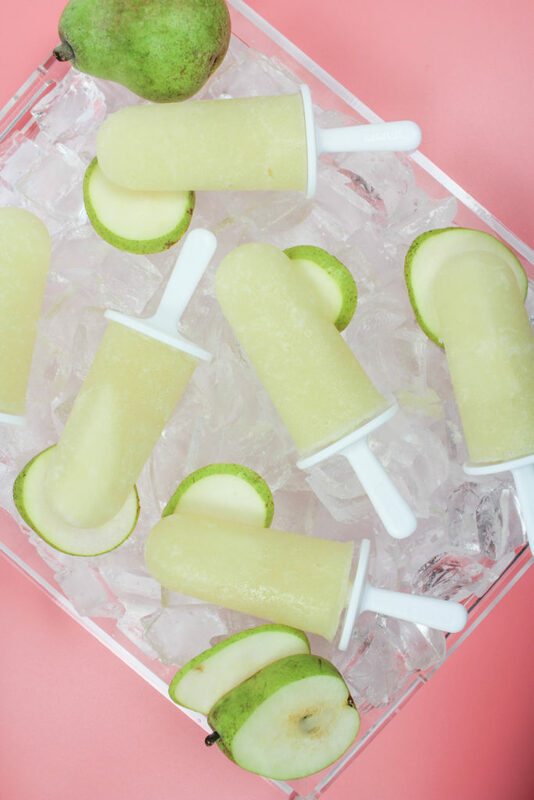 Carefully remove the popsicles from the sleeves, when ready to serve. You can loosen them up slightly by running the molds under warm water for a quick second. These easy pear and Prosecco popsicles are the perfect treat to serve, not only during the warm summer months, but all year round! 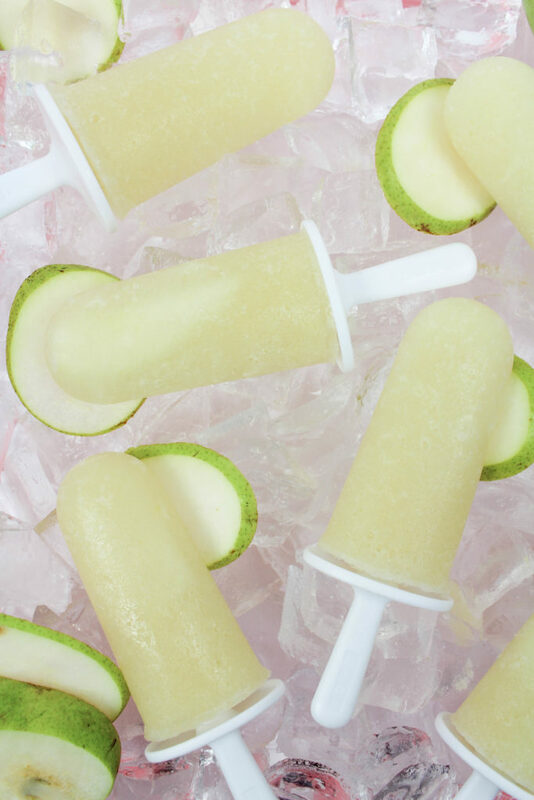 Add a popsicle into a glass of bubbly for a fun serving idea too!